Established in 1983, The PX Partnership are the leading and most respected providers of fully funded Part Exchange services to the new homes industry, giving housebuilders all the benefits of part exchange, but with no financial outlay and no risk. Based in Newbury and part of the BDZ Holdings group of companies, The PX Partnership is an independently owned and operated business that has been providing specialist services to the UK property market for over 35 years. Offering Part Exchange to your buyers through The PX Partnership couldn't be easier. Our no obligation schemes are simple, straightforward and designed to help you sell more new homes. 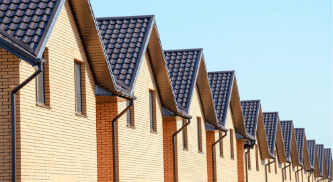 With no differential required, our part exchange service allows you to part exchange properties outside of your usual criteria and operating area. De-risk your part exchange completely and continue to use px when your own funding has been used up, helping you to meet your half year and year-end demands. Our part exchange service gives you the ability to compete with volume housebuilders who already offer part exchange. With no funding required and no risks involved, part exchange guarantees sales and completions on time, every time. Part exchange provides a simple, stress free solution for the sale of your buyers' property. Our friendly team carry out a home visit as standard to thoroughly explain the process prior to any part exchange offer, and we allow your buyers to remain in their old property for two weeks after completion to ease the stresses of the moving process. Enhance your services to your New Homes clients by offering flexible part exchange through the PX Partnership. With no cost to you or the developer, no tie-ins and no price differential required, offering part exchange guarantees sales and helps your clients achieve more sales. The PX Partnership is the leading and most respected provider of fully funded, risk-free, Part Exchange services to house builders and developers.